When Bonnie Parkhouse walked into what looked like a Verizon Wireless store in July to buy a case for her new flip phone, she received disturbing news: The device was about to become obsolete. Parkhouse, a 68-year-old retired professor, said a salesperson at the New Britain retailer told her the bare-bones phone wouldn't work once Verizon phased out its 3G network in months. Parkhouse didn't want a smartphone, but was talked into buying a Samsung Galaxy S6 for $668. What Parkhouse didn't know was that the flip phone, a Kyocera Cadence LTE, runs on Verizon's 4G LTE network and wouldn't be affected when 3G shuts down at the end of 2019. What's more, she learned the Galaxy S6 she purchased is a three-year-old smartphone model that is no longer sold on Verizon's website. And despite a large Verizon logo emblazoned near the entrance, the New Britain store isn't owned or operated by Verizon. It's a Wireless Zone, a third-party authorized retailer that uses Verizon's branding and products in nearly 400 stores nationwide, but is independent and can set its own prices and policies. Parkhouse believes she was not only duped into buying a phone she didn't need, but also tricked into thinking she was inside a Verizon store. "When you see an authentic logo and brand, you think they're all the same," Parkhouse said. "I want people to realize the difference so they won't make the same mistake I made." Parkhouse spent two weeks unsuccessfully trying to receive a refund for the Galaxy S6 smartphone. Hours after the Inquirer and Daily News asked Wireless Zone about her case, the New Britain store's owner offered Parkhouse a full refund. In a statement, Wireless Zone executive vice president David Staszewski said the retailer teaches its franchisees "to provide superior customer experiences that generate customer loyalty through personal service and knowledge." "We are pleased that our owner was able to resolve this issue quickly and positively." Verizon-owned stores and third-party retailers often look alike from the outside, but there can be major differences for consumers. The independent businesses use Verizon's name and products and earn commissions by signing up customers for wireless. Although the arrangements allow dealers to place Verizon's logo all over its stores, Verizon does not dictate phone prices, promotions or return policies to the third-party retailers, a company spokesman said. The framework is similar to franchise agreements used by McDonalds or Starbucks. 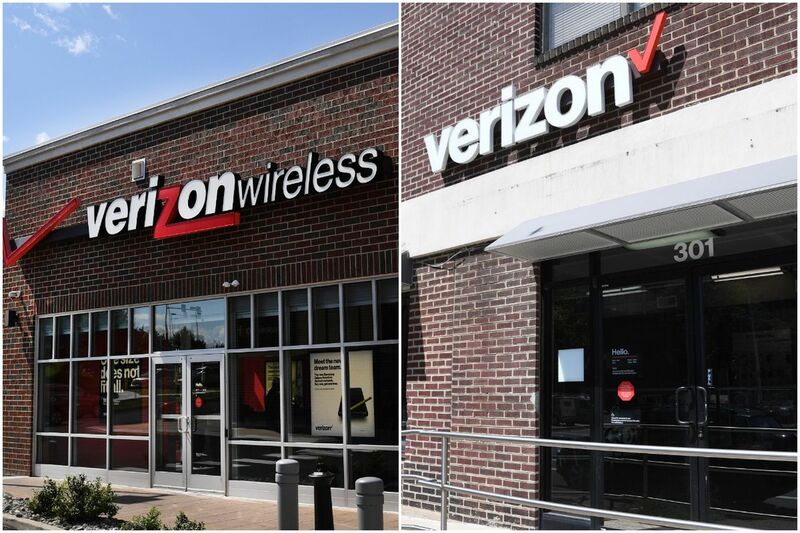 But unlike those chains, Verizon seems to exert less control over its third-party distributors, said Ed Rice, a Pittsburgh-based lawyer who represents clients running franchises. That means the quality of the third-party retailers can vary. "Generally, I think the franchise Verizon store isn't going to have the same level of quality and attention to customers as a Verizon store," Rice said. "The Verizon employees? They're trained under the Verizon regime. The franchise store? They may or may not be trained by the Verizon regime." A web search for Verizon retail locations within 10 miles of Lansdale found 17 third-party dealers, compared with three Verizon-owned stores. The search excluded retailers in warehouse stores or malls. Customers have complained about third-party dealers on Verizon and AT&T online forums. During contract negotiations with AT&T last year, the Communications Workers of America set up a "consumer alert" website and released a report claiming the company's third-party dealers were risky for consumers. The report cited examples ranging from retailers giving customers more lines than needed to offering bogus promotions. One bad experience does not reflect on all third-party retailers, Rice emphasized. But he said consumers should generally "make it a point to go to a Verizon corporate store and never a franchise store." "The level of quality is that different," he said. In a statement, Verizon said it expects partners "to uphold the same level of service and quality standards that the community associates with the Verizon brand." AT&T had 3,360 third-party dealers as of June 2017, comprising over 60 percent of the company's branded retail locations, according to the CWA, which represents workers at AT&T and Verizon. A Verizon spokesperson declined to say how many third-party retailers it uses. An online search for Verizon retail stores within 10 miles of Parkhouse's Lansdale home found 17 third-party dealers, compared with three Verizon-owned stores. There are ways for consumers to tell the difference. Verizon requires its third-party retailers to identify themselves as independent businesses, a company spokesman said. Those disclosures are noted on window clings on the front door, store receipts, the retailers' websites, or when employees greet customers, the spokesman said. Also, Verizon's website allows consumers to search for nearby retailers. Users can enter their zip code and see which stores near them are owned by Verizon and which are owned by third parties. Parkhouse, a former sports management professor at Temple University, refuses to tether herself to electronic devices. She writes letters rather than emails. If she needs a computer, she'll borrow one. So she wanted a simple cellphone when she lost her old one in June. In the end, she'd buy three phones in three months from three stores. On June 11, Parkhouse purchased the Cadence LTE from a third-party retailer called TCC North Wales, receipts show. She was supposed to pay $160 over two years. The current price for the same phone is $120 on Verizon's website. Three weeks later, on July 2, Parkhouse bought the Galaxy S6 at the Wireless Zone in New Britain for $668, paying $350 in-store and planning to pay the rest over 24 months. Verizon's website no longer carries the Galaxy S6, which was rolled out in 2015. A pre-owned Galaxy S7 goes for $380, while a new Galaxy S8 costs $696 on Verizon's website. Parkhouse said she bought the smartphone only because the salesperson said her flip phone wouldn't work next year. The New Britain store owner did not return calls seeking comment. A Verizon spokesperson confirmed the Cadence LTE runs only on 4G LTE, not the expiring 3G network. Verizon has ceased activating phones that can't run on 4G. After seeing her monthly bill jump from $91 to $154, Parkhouse went to a third retailer on Aug. 8, this time a Verizon-owned store in Montgomeryville. Following the advice of Verizon employees, Parkhouse paid off the Galaxy S6 to lower her monthly bill. (She had used one-tenth of one gigabyte of data in July.) Then she bought another flip phone, an LG Exalt LTE, for $144. That matches the listed retail price on Verizon's website. Parkhouse recalled the Verizon employee telling her, "You went to the wrong store." "I thought 'Verizon' was Verizon," she said.